Remarkably, the angel was completed on the morning of Beth’s passing. 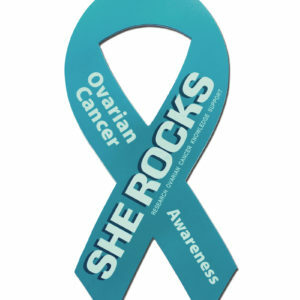 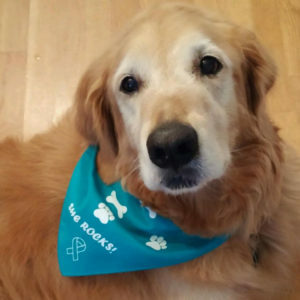 Motivated by a personal connection, two young girls raised $800 for She ROCKS. 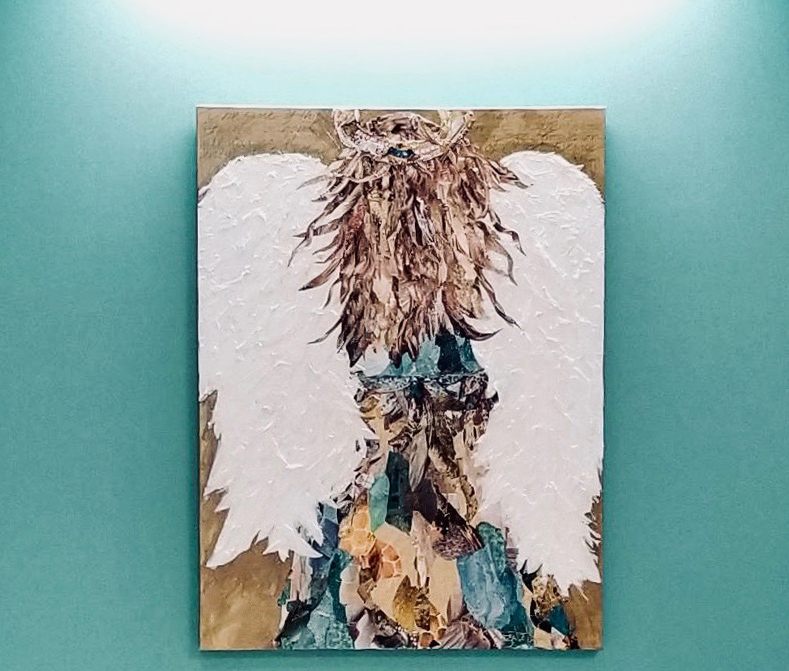 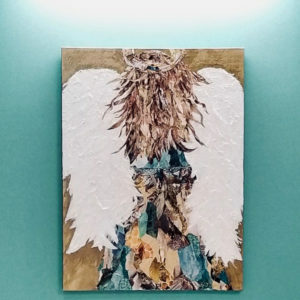 Because the NHRMC Zimmer Cancer Center was undergoing a renovation and adding an Inspiration Room, Beth Quinn contacted Elizabeth Singletary, a local artist well known for her angel art, and commissioned this piece for that purpose. 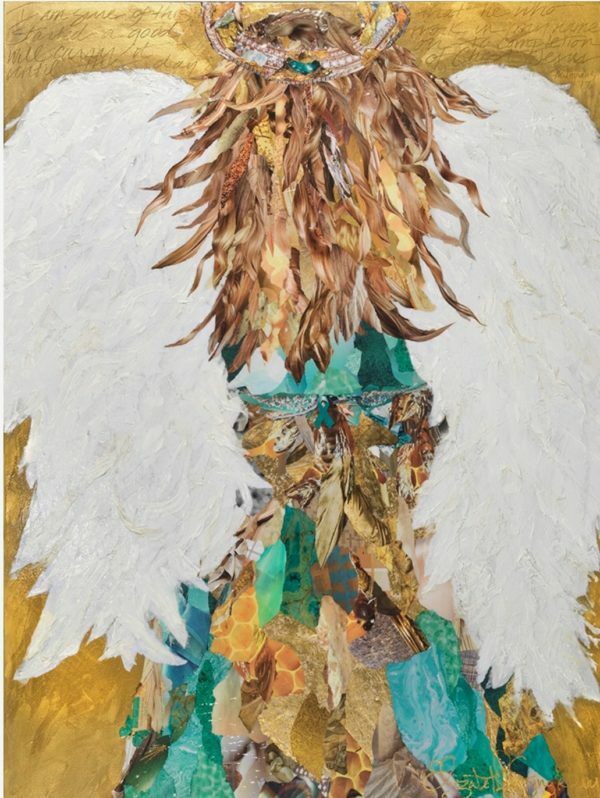 Created from torn magazine strips, the angel contains several hidden images, including a queen bee and a teal ribbon.